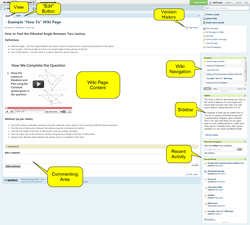 A wiki allows multiple pupils to add, remove and edit the content on a page. 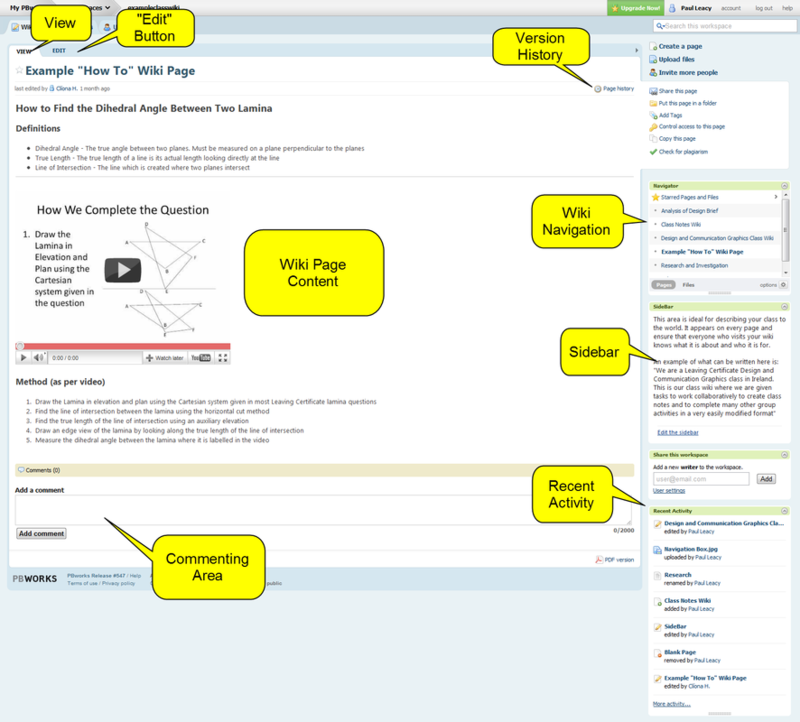 This makes wikis perfect for documenting collaborative tasks in your classroom. A wiki has a very simple interface which allows a pupil to make changes to a page quickly and easily. Each wiki page has a built in history, this means that every edit is saved and the wiki page can be reverted back to any of its previous states by the teacher, this prevents vandalism. A wiki is the personification of what Web 2.0 is all about, especially in its ability to aggregate millions of peoples’ knowledge on a single page. Their main benefits to your teaching are that wikis facilitate team work, they are easily edited by pupils, they are edited through a web browser (no expensive programs), and the “previous versions of a page [are] saved and retrievable” (Chen et al. 2005) These features encourage and facilitate easy collaboration with a few technical hurdles for participation. How can they can be used in your classroom? There are very few other tools that allow for pupils to collaborate in writing as effectively as a wiki. 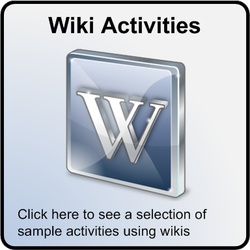 The simplest collaborative writing exercise that can be completed using a wiki is an essay. When contributing to a collaborative writing exercise using a wiki the pupils are not simply writing for themselves and the teacher, as can be the case in Irish classroom but also for the good of their classmates. Pupils must also be critical of other pupils' work, this is not widely practiced in Ireland. What this all leads to is a lack of dependence on the teacher which leads to greater pupil autonomy and means that you, the teacher, has more time to relax. 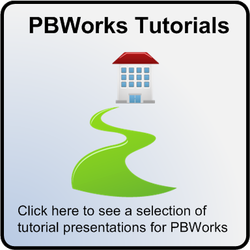 Knowledge base wikis are an intriguing proposition in education as they are a means of amassing large amounts of information about a topic or course of study and storing it all in a single location to be viewed or edited at any time. This could lead to the creation of repositories of information (an encyclopaedia) about Design and Communication Graphics, created by the pupils for the pupils. They are flexible enough that if there are small changes in syllabus they can be easily modified so the repository remains accurate and does not have to start from the beginning. They could be, in effect, a one stop shop for all your and pupils' content needs.